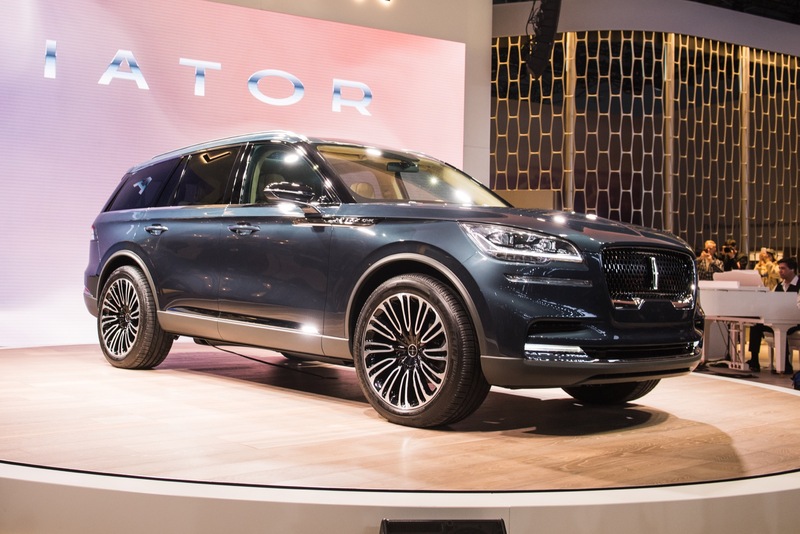 We have waited, and now we finally get to meet the Lincoln Aviator Concept. 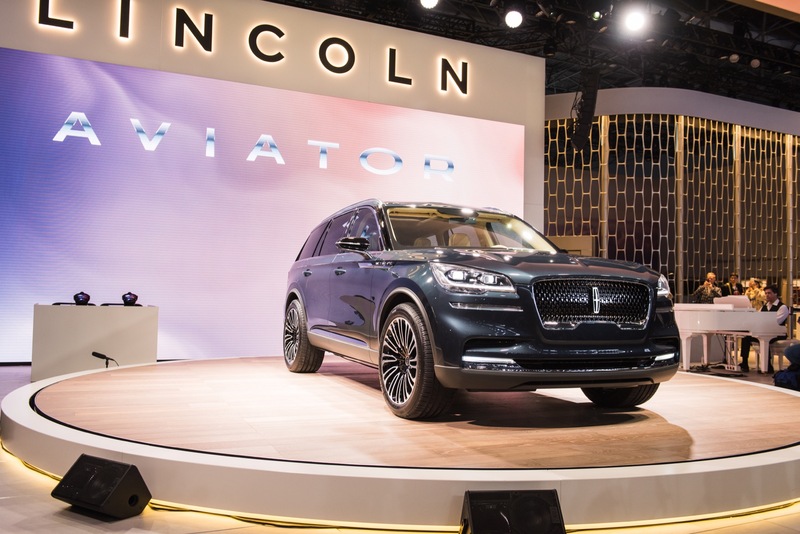 Introduced today at the 2018 New York International Auto Show, the show car – which Lincoln officially refers to as the “Aviator preview” – signals the direction Lincoln plans to take with its newest SUV when the production version goes on sale in 2019. 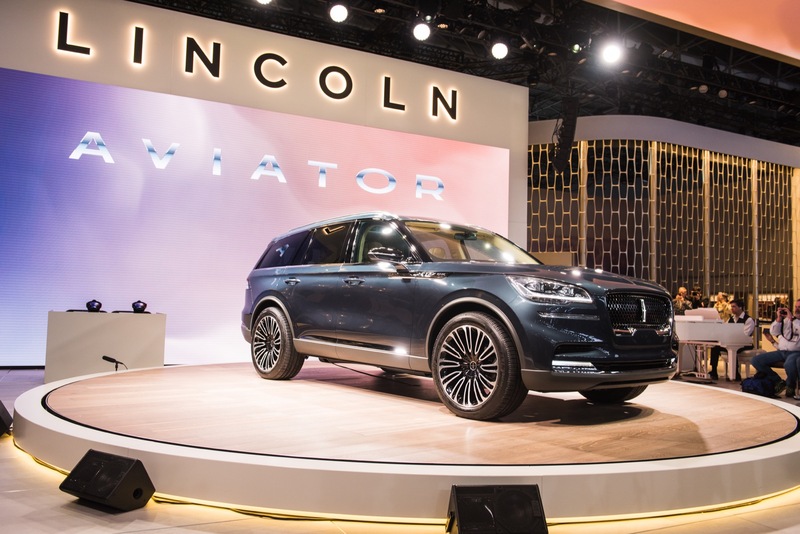 Lincoln states that the Aviator concept preview “embodies Lincoln’s future” as the brand expands its product portfolio with more utility vehicles and effortless services. 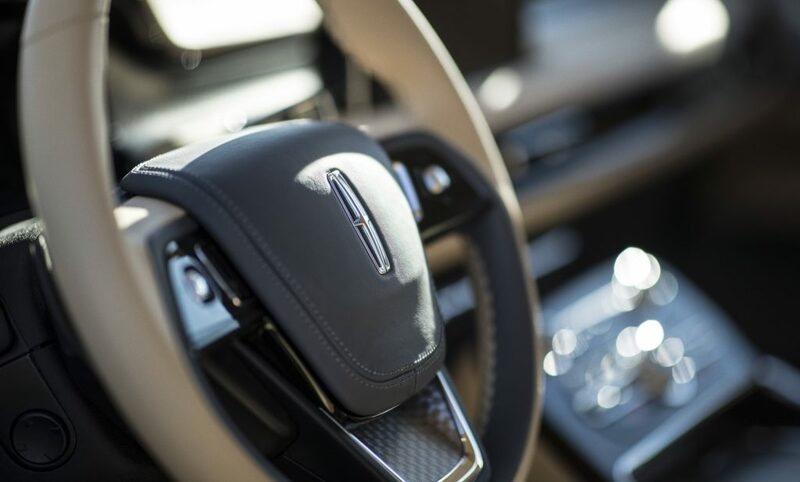 Moreover, the Aviator highlights beauty and elegance, and offers the quietest and smoothest Lincoln yet. 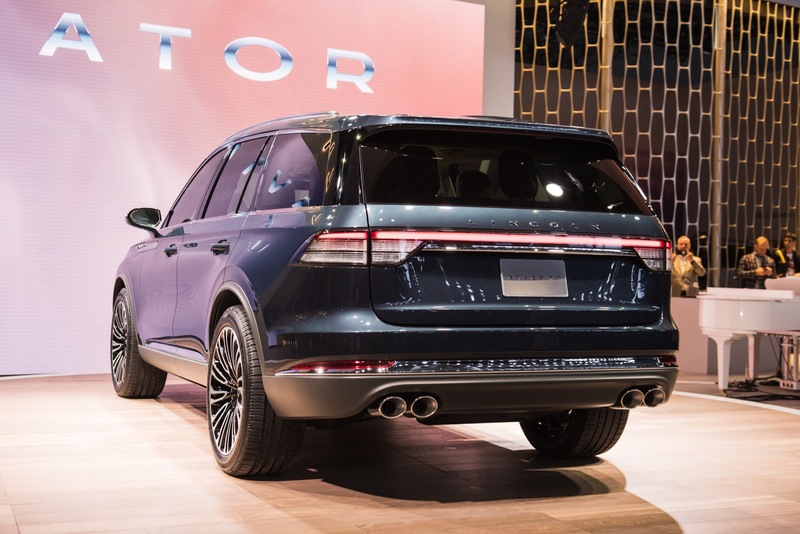 The Aviator concept (we’ll dispense with the “preview moniker) comes at exactly the right time, as consumers continue their seemingly insatiable hunger for utilities. 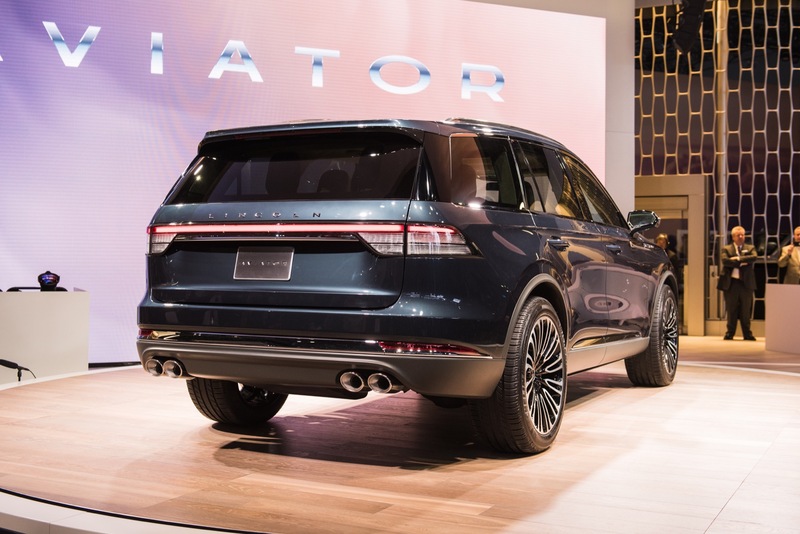 Sales of the all-new Lincoln Navigator are up, so much so that production of the model is being increased to satisfy higher demand. 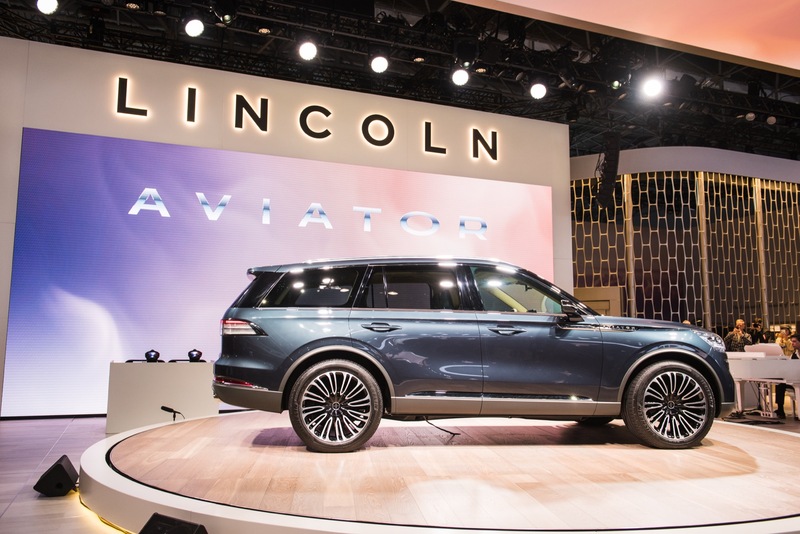 With carefully-sculpted styling, a roomy interior, twin-turbocharged powertrain available with an advanced plug-in hybrid option, the three-row Aviator targets a big chunk of the luxury SUV market that Lincoln calls the “medium luxury SUV” segment. It saw sales of over 585,000 vehicles in 2017. 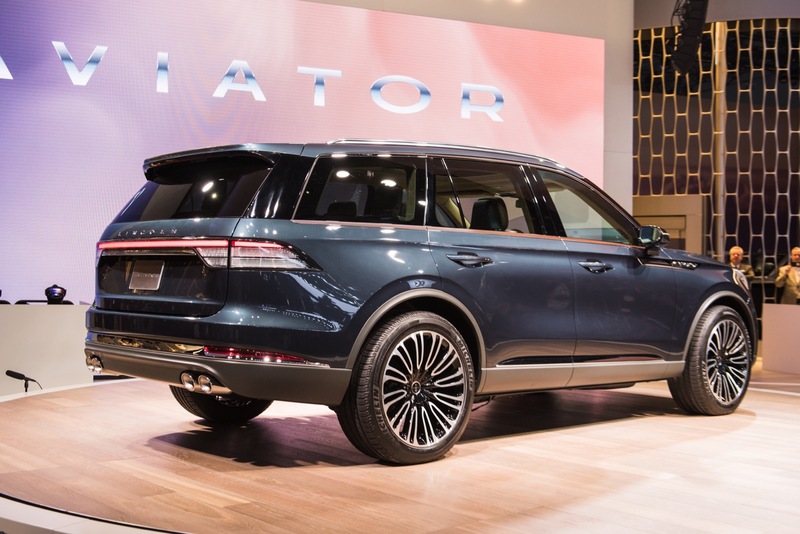 The Aviator will aim to appeal to millennials starting families, as the majority of vehicles in the space are sold to people ages 35 to 44. 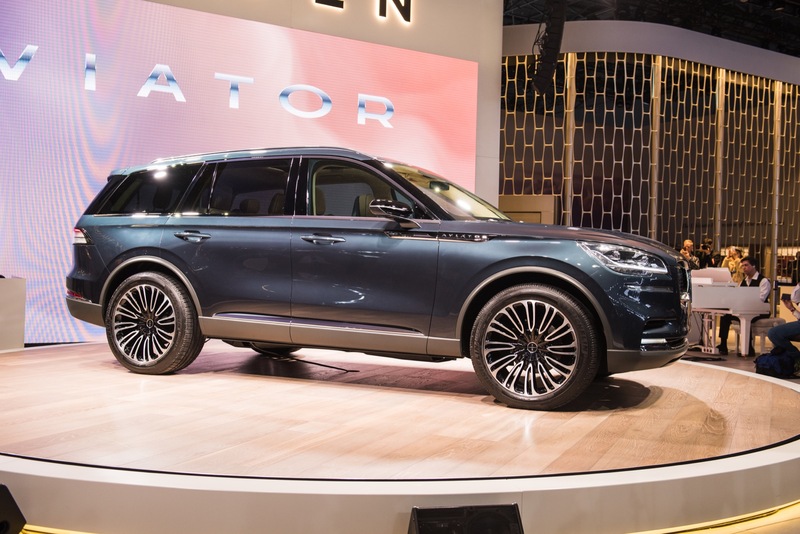 The Lincoln Aviator concept rides on Ford Motor Company’s new D6 platform, which we’ve been looking forward to for quite some time. 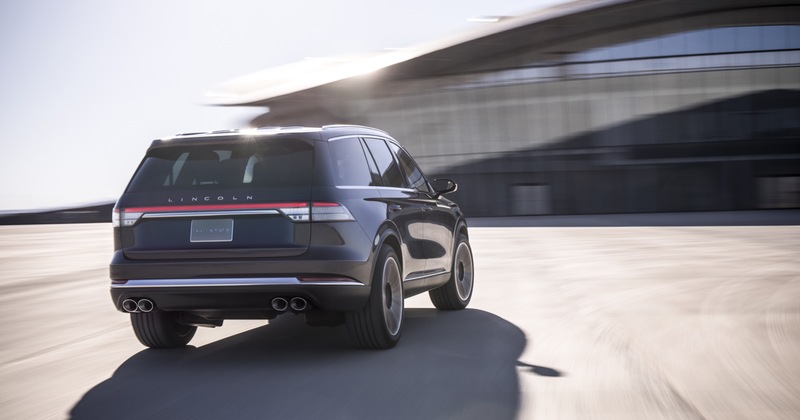 The architecture is rear-drive-based, and the show car’s proportions take full advantage of the benefits associated with such a chassis thanks to a long wheelbase and a grandiose dash-to-axle ratio that enables a very planted, taught stance with cab-rearward dimensions and elegant proportions. The platform also enables a spacious second and third row. 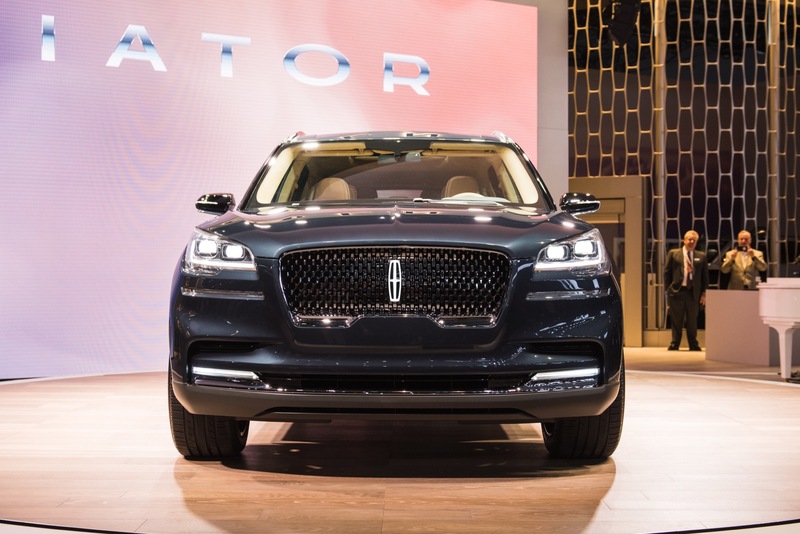 This very same platform was originally slated to underpin the next-generation Lincoln Continental, but plans for that model have been scrapped. 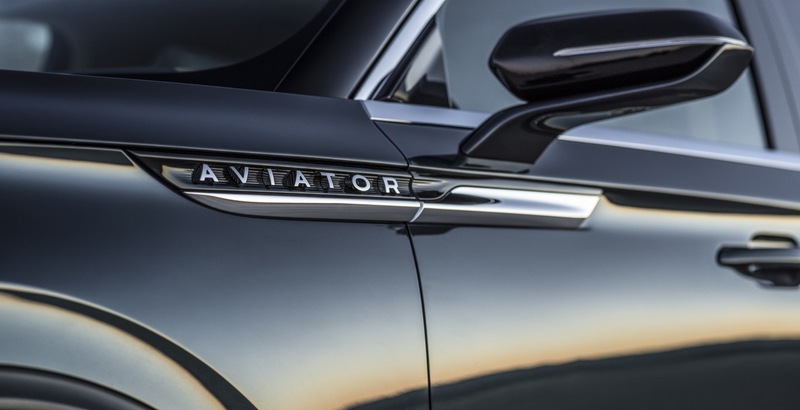 Contrary to the first-generation model, the name of this Aviator concept is not by accident, as the vehicle was inspired by aeronautics. 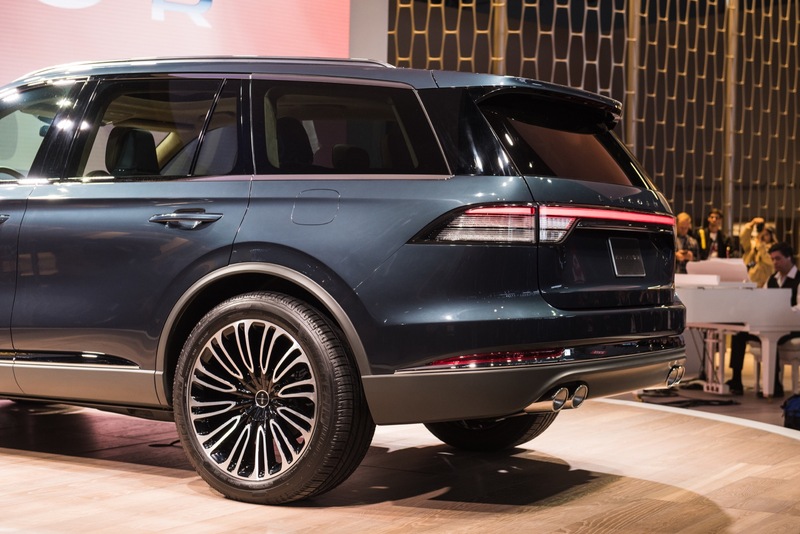 The show car features lines pulling downward toward the rear, which is a cue to the Aviator’s rear-wheel-drive platform. Woodhouse describes this as an in-flight gesture. 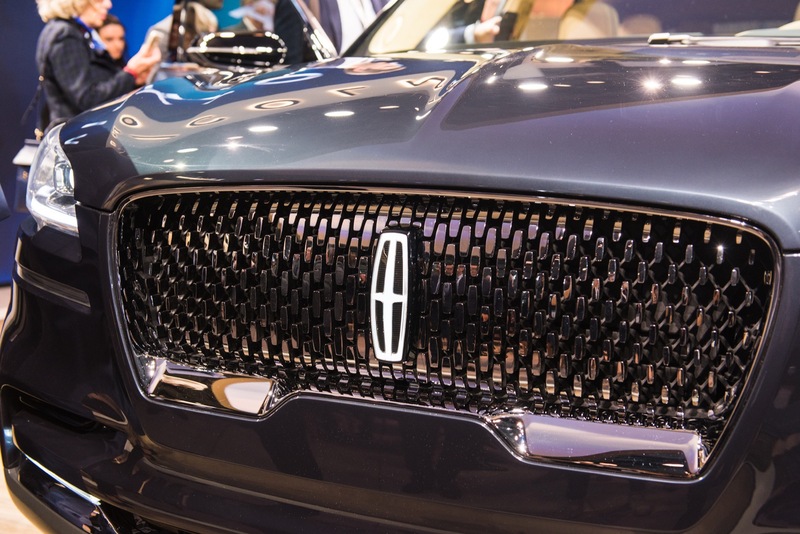 The signature Lincoln grille is executed in high-gloss black and chrome accents. The headlights and front end treatment work extremely well on the show car, as does the wraparound windshield, which helps complete the aviation-inspired theme. The straight-cut belt-line accentuates the Aviator’s proportions. 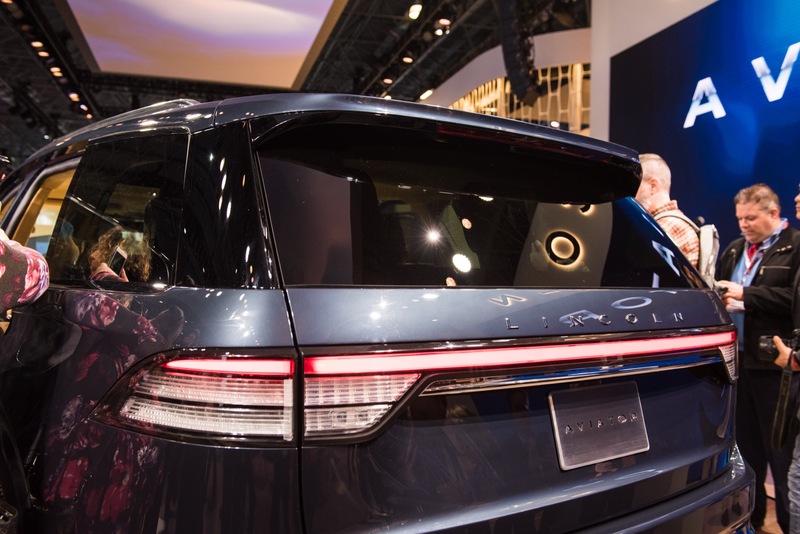 At the rear, a red light bar connects the clear tail lamps, while quad exhaust pipes show those behind that the Aviator means business. 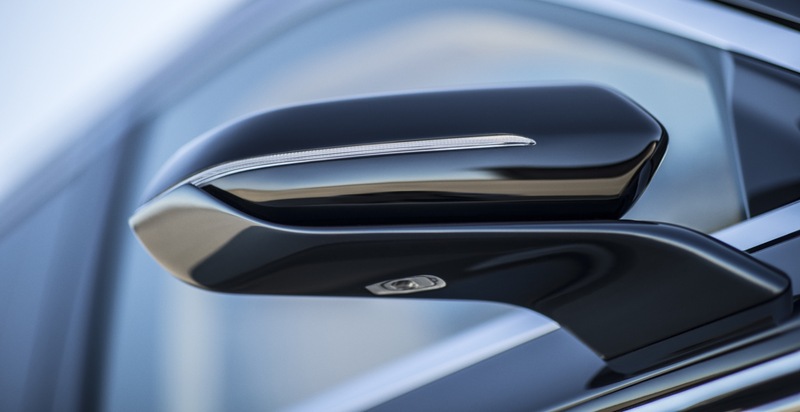 The show car is coated in an iridescent Flight Blue hue that complements its elegant and flowing lines. 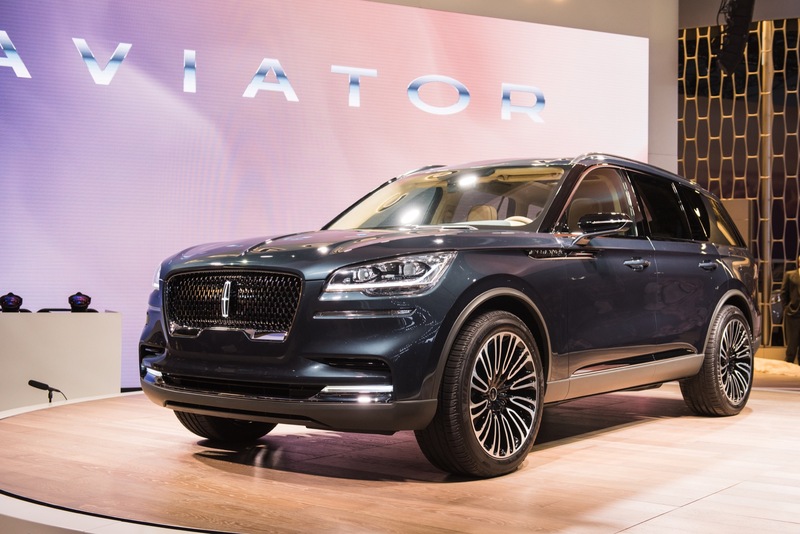 Overall, the Aviator is the first modern Lincoln design that – in our opinion – comes into its own and provides a cohesive design language that’s modern, aggressive, yet tastefully elegant and eye-catching. 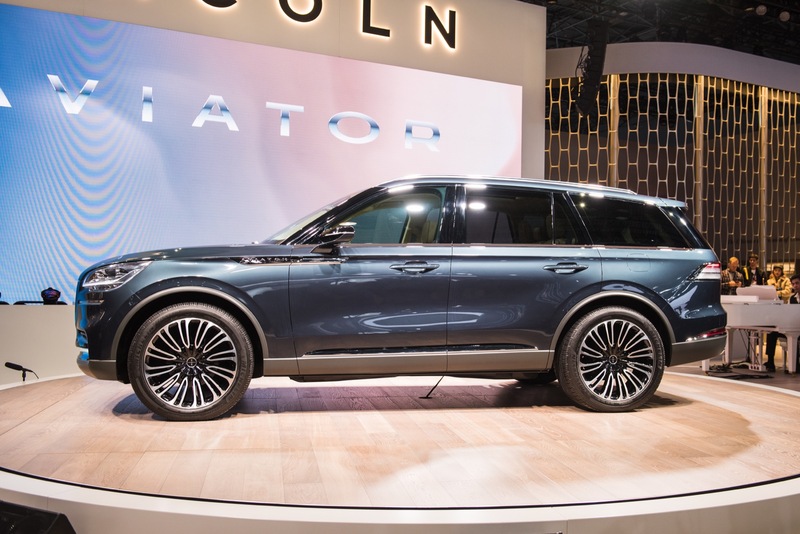 The Aviator concept features a spacious, airy cabin that accentuates horizontal lines, which Lincoln says “minimizes visual clutter to deliver a soothing sanctuary”. Intended for ultimate ease of use, the steering wheel requires only subtle finger movements to access the many functions it houses. 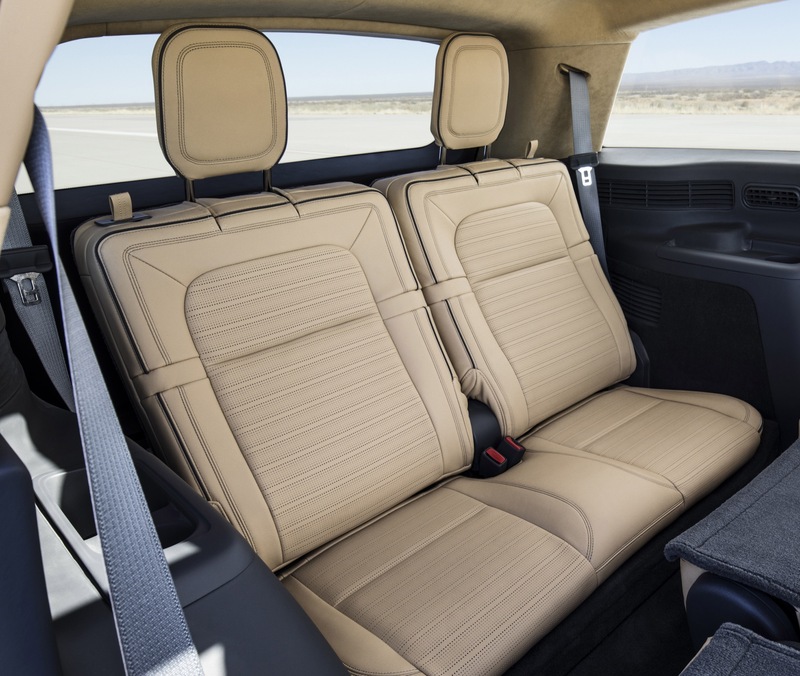 With a focus on comfort, the Aviator show car features Perfect Position seats that offer 30-way adjustability and massage capability. Flexible second-row seats can recline and slide forward for easy access to the spacious third row. 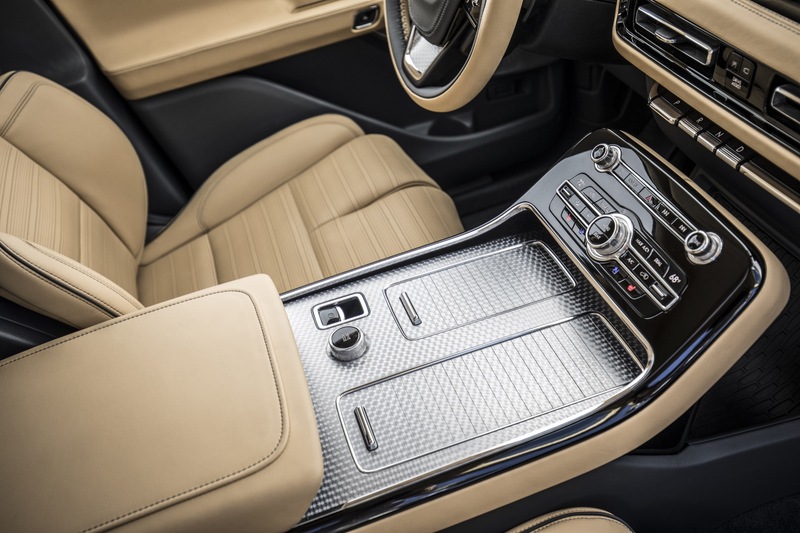 Wireless phone charging is located in the front armrest, and a convenient media bin is available for front passengers. 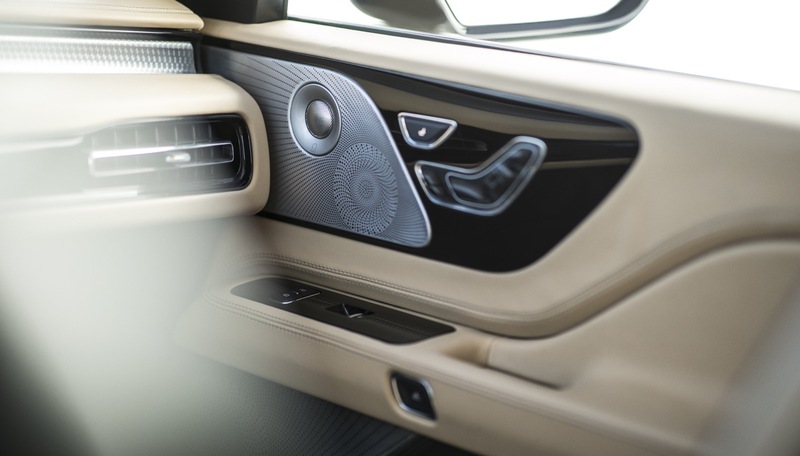 Multiple power outlets are located throughout the cabin, while standard Wi-Fi ensures everyone stays connected. 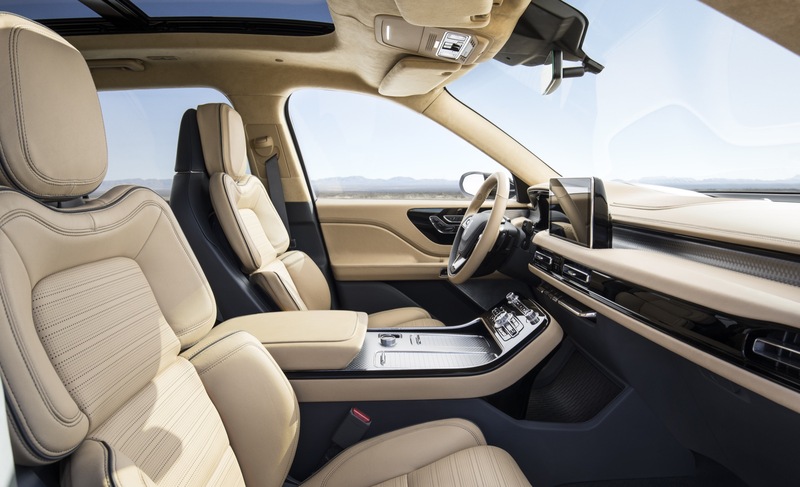 An all-new Lincoln Black Label-inspired theme combines Shearling Beige and Lunar Gray to further elevate the ambience. Machine-turn aluminum appliqués that are brushed in small circles to replicate the shape of early aviation instruments further enhance the theme. The seats’ supple leather is minimally processed in order to retain the material’s natural texture. 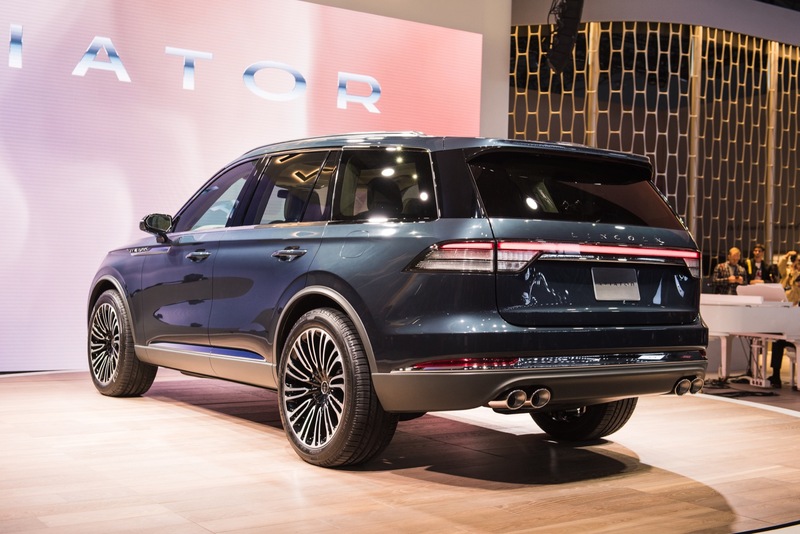 A rear-drive platform furnishes various power and capability benefits that luxury vehicle buyers require and expect in a three-row SUV. To that end, the Aviator is all about powertrain options. 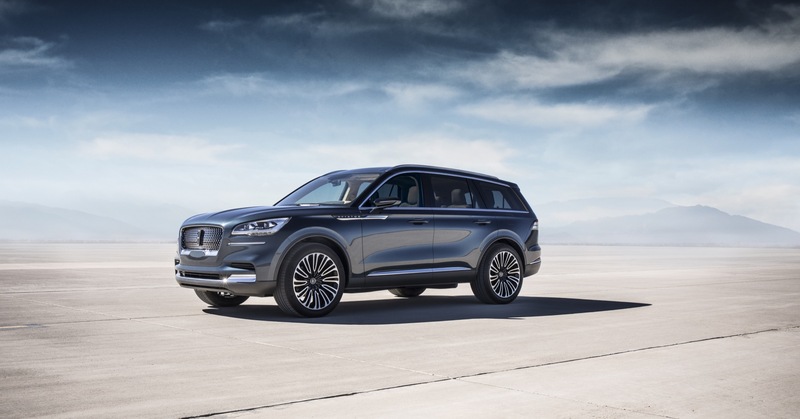 A twin-turbocharged engine can be paired with the brand’s first advanced plug-in hybrid technology. 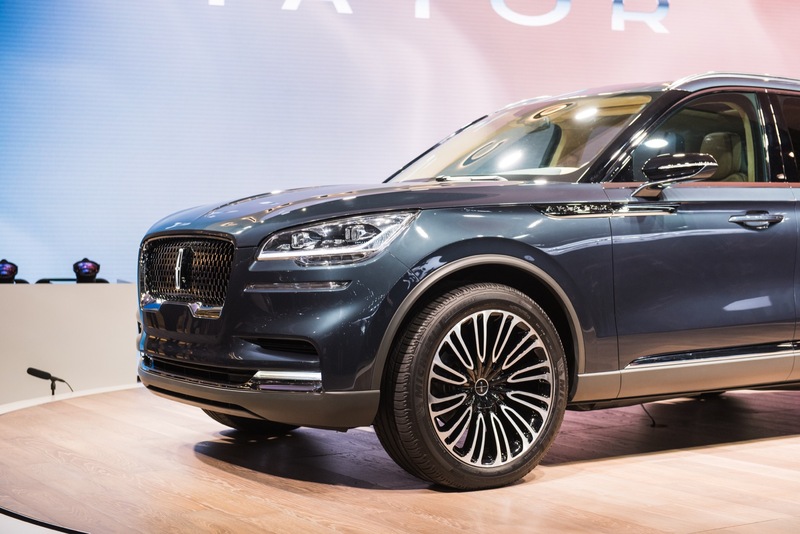 This marks the first time Lincoln will offer a plug-in hybrid powertrain mated to a twin-turbocharged engine. 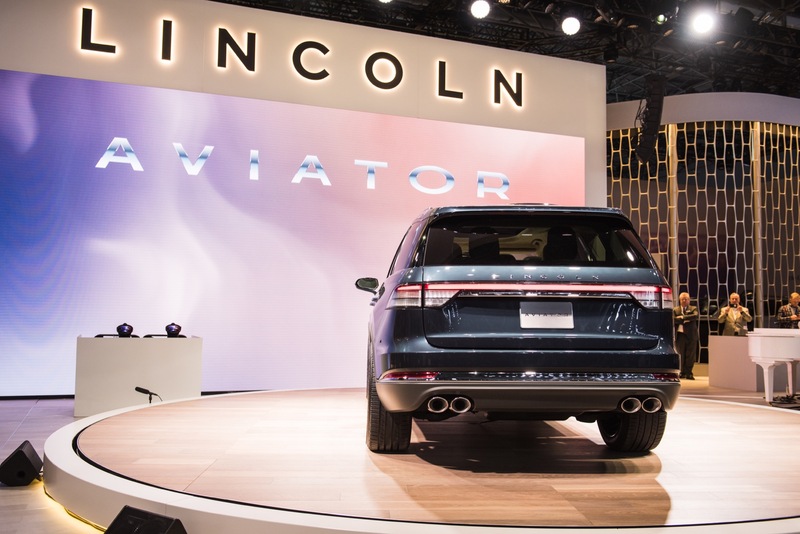 The combination of power and electrified capability “will help Aviator deliver Lincoln’s quietest, smoothest, most powerful drive yet”, says the brand. 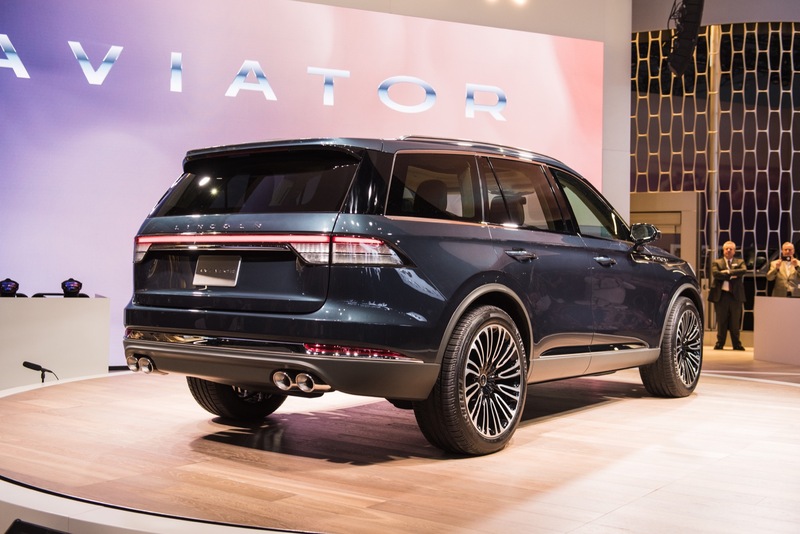 In fact, the combination of a twin-turbocharged engine with a hybrid electric powertrain “makes Aviator mightier than many supercars on the road today”. 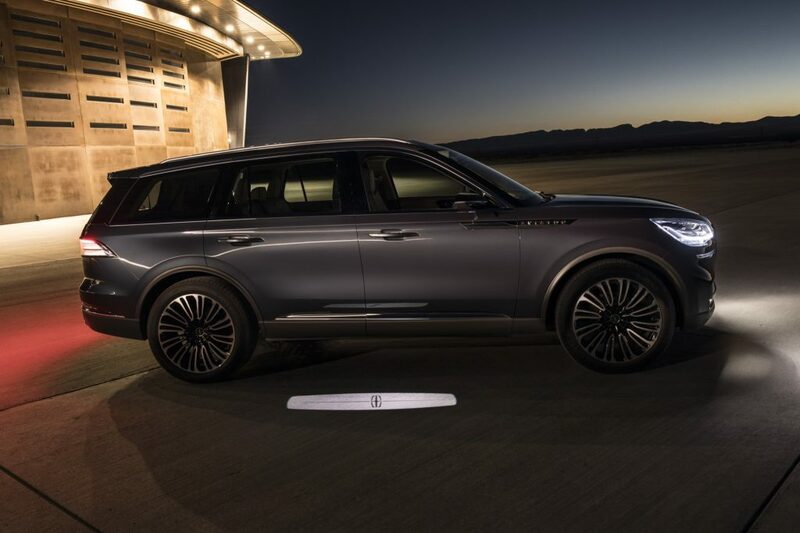 The plug-in hybrid experience provides for a responsive, refined ride, with no powertrain-induced noise and vibration when operating on battery charge. 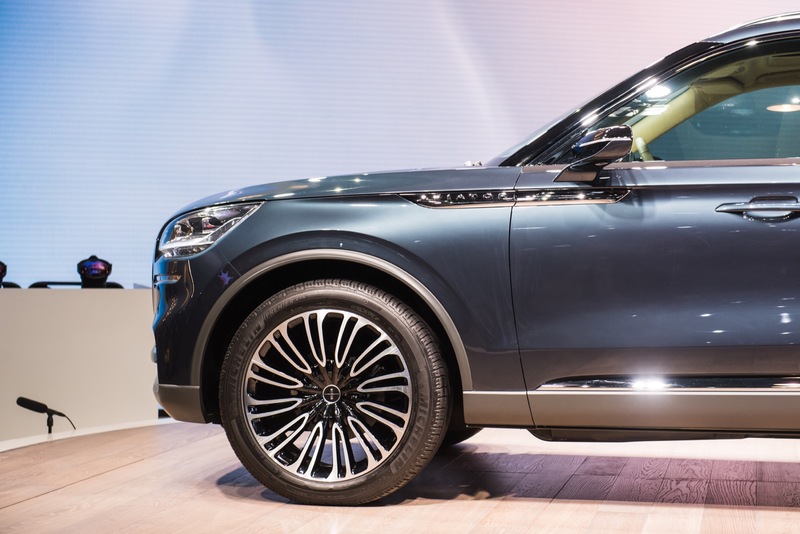 And to ease range anxiety, the vehicle is capable of using its twin-turbo engine, if needed. 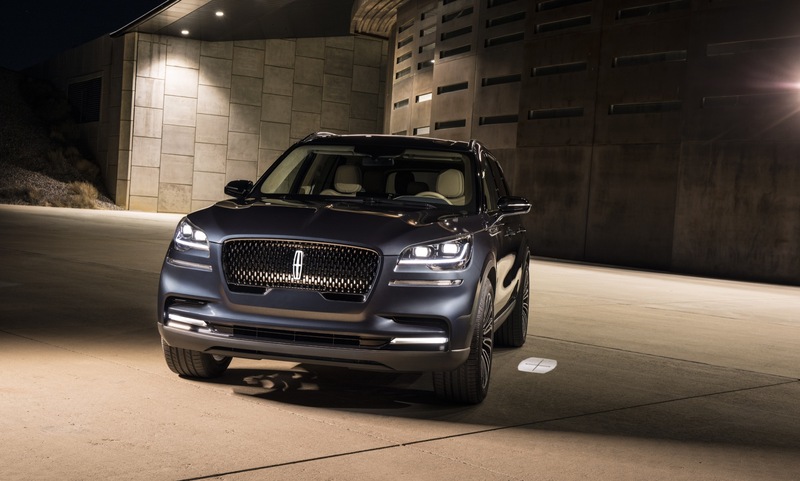 Lincoln Drive Modes allow clients to further customize the driving by selecting between different modes, depending on the kind of drive they are looking for. A standard, 12-inch display confirms the choice with beautiful and dynamic, easy-to-read graphics. 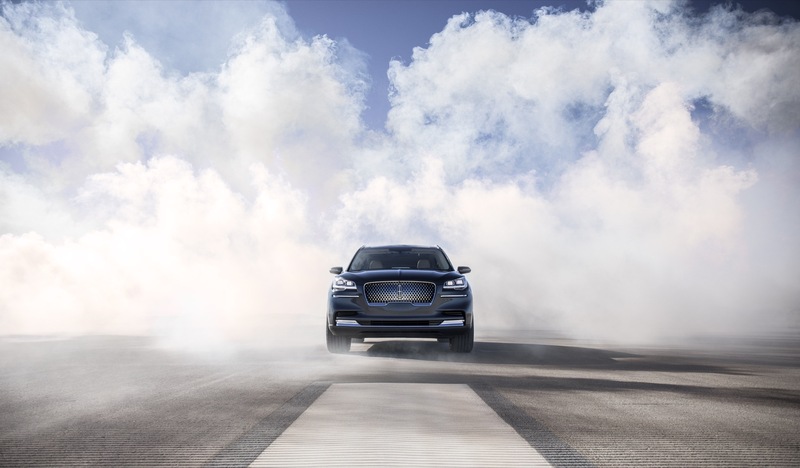 Suspension Preview Technology that seamlessly adjusts the suspension for upcoming road conditions; a first for Lincoln, the tech can help reduce driver stress caused by potholes and bumps in the road. In addition, Aviator also debuts a selection of considerate prompts delivered through the newest version of SYNC. 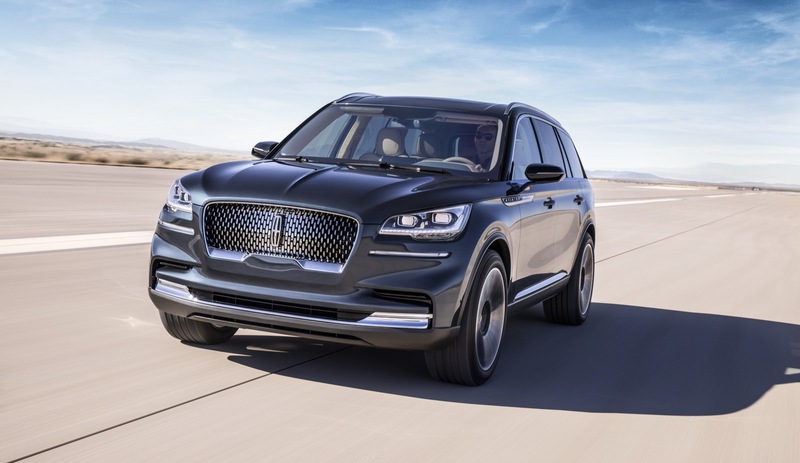 With the introduction of these prompts, or cues, Lincoln advances its holistic approach to vehicle ownership by bringing those services into the car. 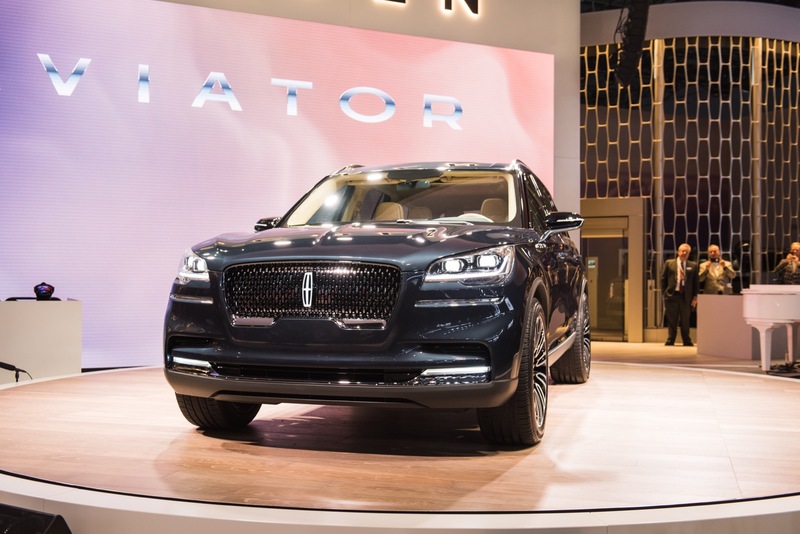 Lincoln also announced that owners will be able to use their smartphone as a key when it launches the Phone as a Key technology on the production version of the Aviator. 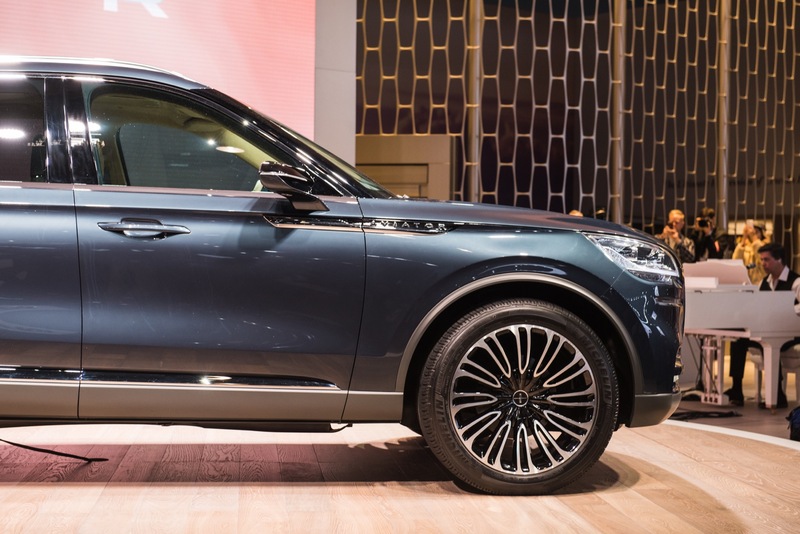 The feature will enable clients to lock and unlock the vehicle, open its trunk and, most importantly, start and drive it without a smart key fob. 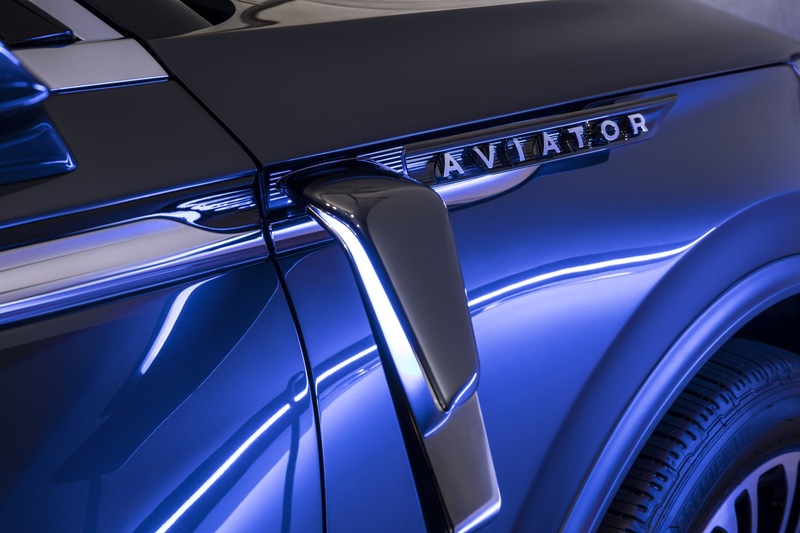 The effortless experience begins even before entering the Aviator, with owners being able to use their smartphone as a key. 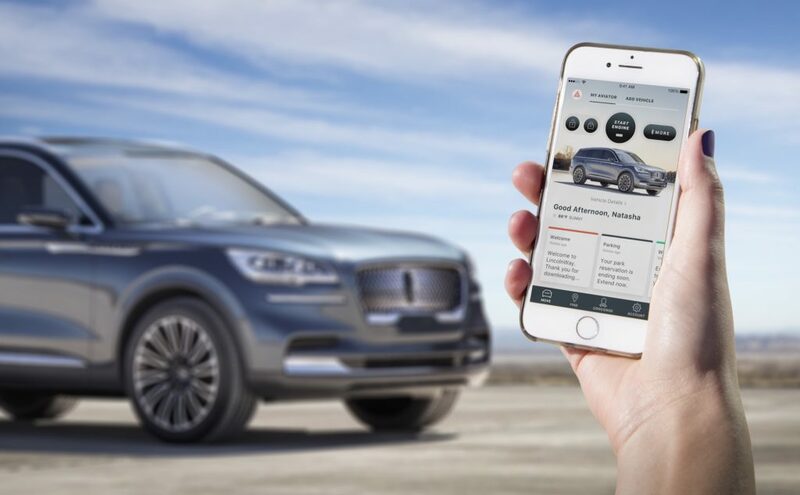 The technology, which Lincoln expects to be industry-leading when it launches, works though the Lincoln Way app. Phone as a Key is designed to offer other amenities similar to a smart key fob. For instance, drivers can activate a locator chirp to find their Aviator in a crowded parking lot or recall their personal profile. In the case that the client’s phone battery is depleted, a backup passcode can be entered on the standard exterior keypad to gain access to the car. Clients can then start and proceed to drive the vehicle via the center touch screen. Lincoln also says that, if the phone is lost or stolen, Phone as a Key can be easily deleted, providing additional peace of mind. 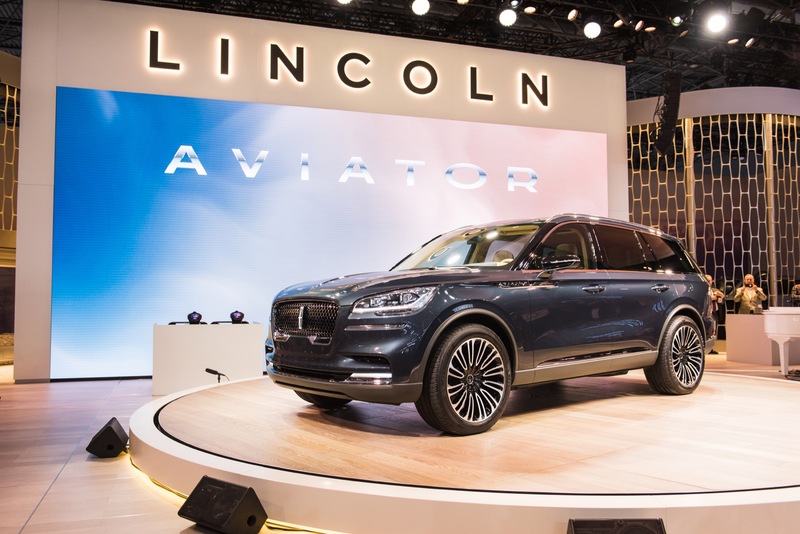 Lincoln did not provide specifics regarding availability or pricing of the production-intent Aviator. 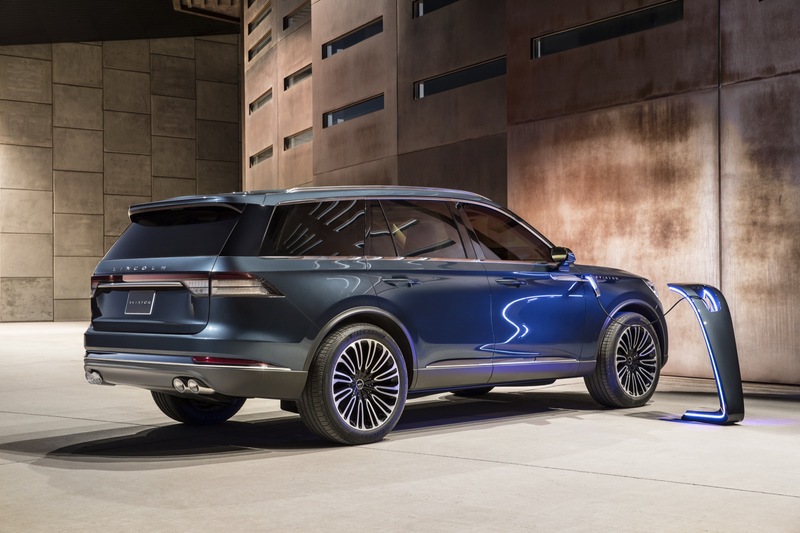 It did, however, state that the production version of the SUV will go on sale in 2019. Until then, all we can do is wait. 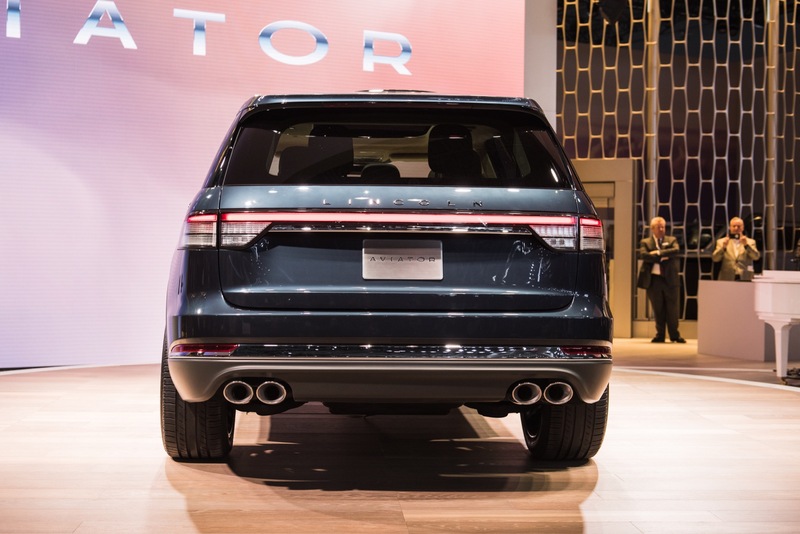 I’m not generally into SUVs/CUVs and don’t consider myself to be a Ford guy at all but I have to say, I am thoroughly impressed by this vehicle. 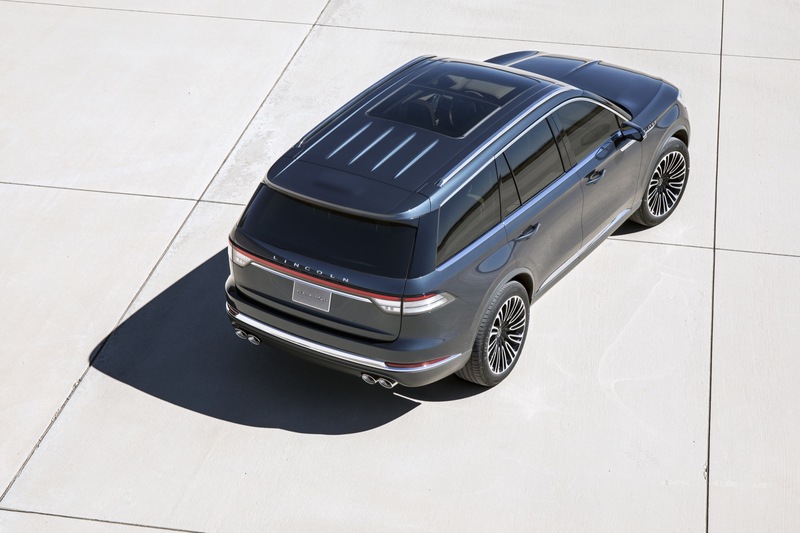 It is beautifully styled with a very high-end look that is at once both European and Continental and by Continental I mean very reminiscent of the stunningly beautiful Continental concept that Ford wowed with in New York circa 2015. That vehicle proved that American carmakers can and should look to their own heritage for inspiration and in so doing I believe they’ll find the recipe for beating the Germans. The article says this will be the quietest and smoothest Lincoln yet. I find that incredibly refreshing and the perfect antidote to BMW’s “Ultimate Driving Machine” persona so many other luxury brands attempt to replicate. 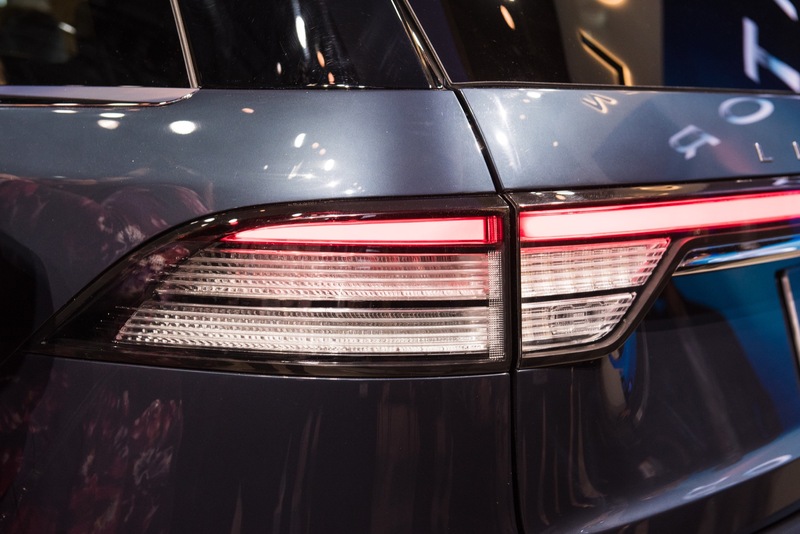 No doubt BMW has developed a particular niche in the market that has brought great success but I firmly believe that carmakers, and especially luxury carmakers have to be seen as authentic and true to themselves to find marketplace success. 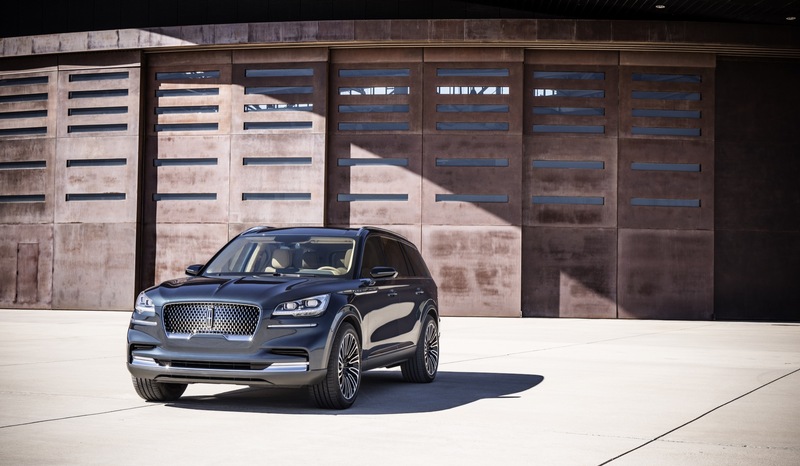 Lincoln, casting themselves as “quiet luxury”, is fully true to their heritage but that formula has been reinterpreted to a modern age so as to not feel at all stale or old. In garages across America, one often finds a fun car, a practical car, and a smooth silent luxury car sitting side-by-side. 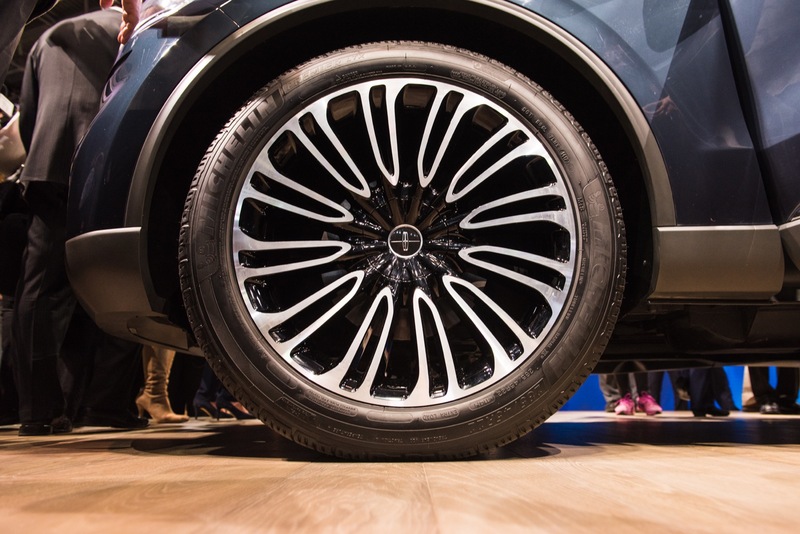 Just as in our closets, we have shorts and jeans and suits each suited for specific occasions so do we have cars for the motoring occasions of life. 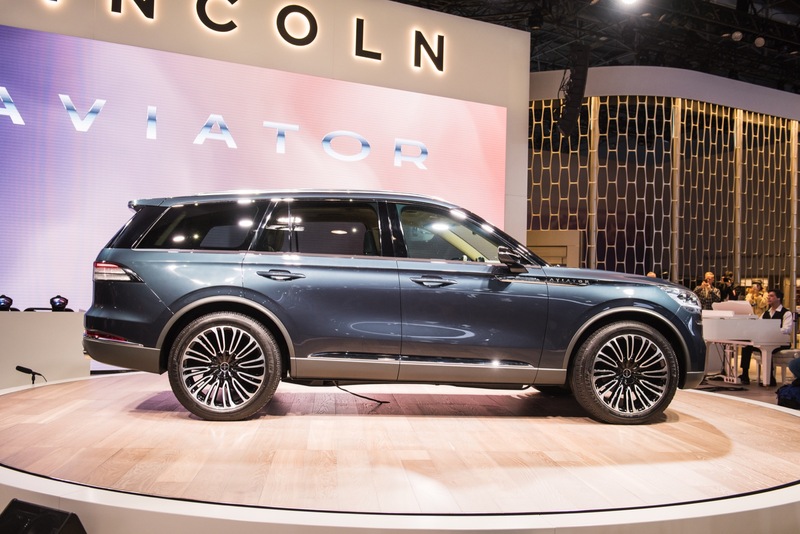 I applaud Lincoln for understanding and having the confidence to know who they are and for what occasion in life their products are suited. 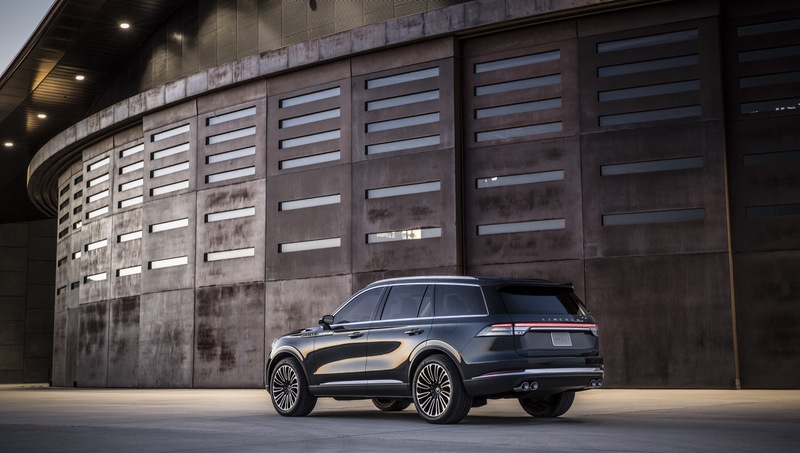 With the Aviator, Lincoln isn’t pretending to be a hard-charging BMW, they are building a modern and authentic Lincoln that is beautiful, smooth, and silent. I believe buyers will respond to that. 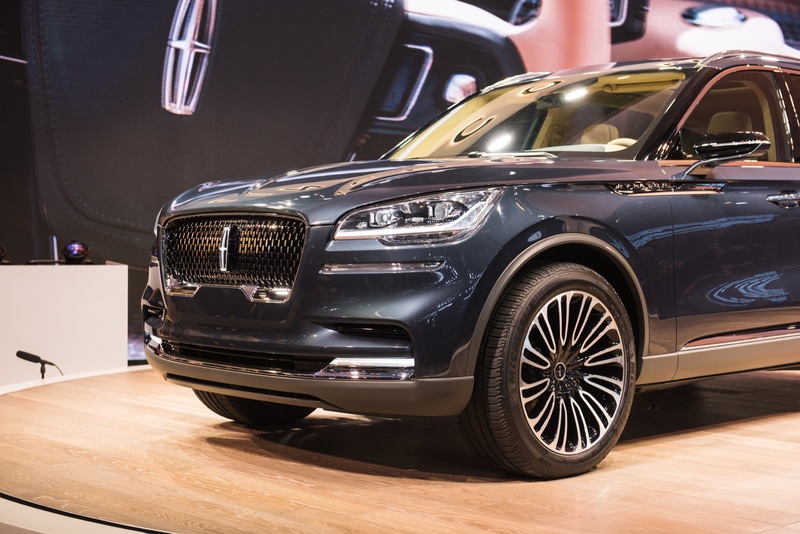 When the Brooks Brothers suit comes out of the closet so too can the Lincoln emerge from the garage. There is no shame in that.